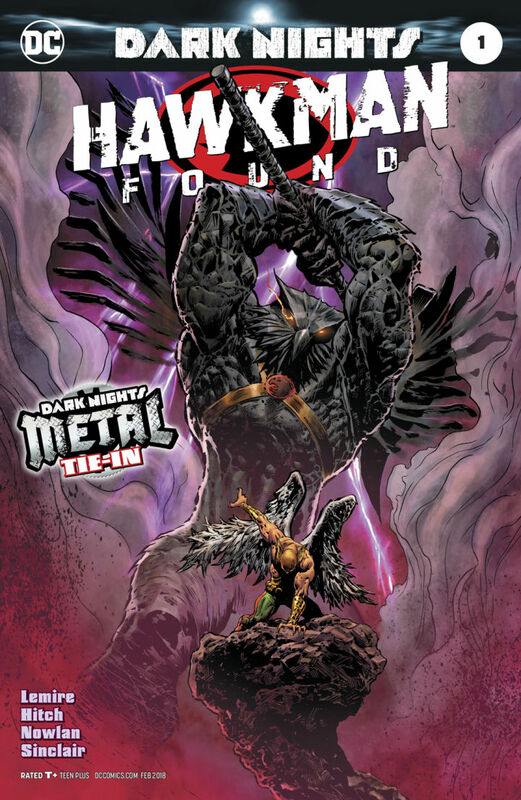 Back in March DC gave us The Death of Hawkman, and the good news is: he got better. But I bought this issue with fear in my heart, because the writers and editors at DC have not been kind to this hero - in fact, he's been treated quite badly, beaten up often by the continuity police and by poor choices in characterization (here's hint: Hawkman is not Wolverine). The good news is, the art in this issue is tremendous, as Bryan Hitch and Kevin Nowlan turn in lush, powerful images. The story by Jeff Lemire, on the other hand, doesn't give us much to work with. It brings us a Carter Hall (or is it Katar Hol?) who's trapped in a nightmarish world, fighting for his freedom, but facing impossible odds. The story is mostly just a setup for Dark Knights: Metal #5, but the only reason to pick it up is to see the fantastic art. Otherwise, you'll probably get all you need from the Dark Knights series. 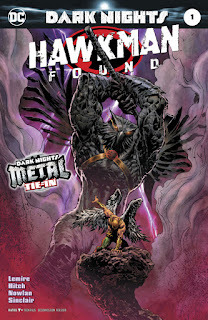 So I'm glad to see Hawkman return - but I'm still wondering how that return will shake out. And what about Hawkwoman? "But I bought this issue with fear in my heart, because the writers and editors at DC have not been kind to this hero - in fact, he's been treated quite badly, beaten up often by the continuity police and by poor choices in characterization (here's hint: Hawkman is not Wolverine)."